2019 Update: If you are a MacOS user I strongly recommend using Laravel Valet, for other systems Docker is highly recommended. 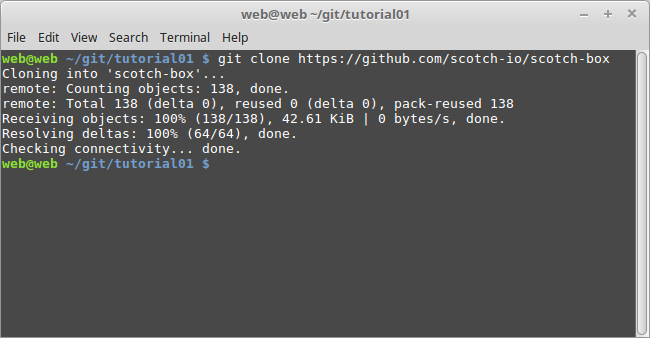 This post will quickly guide you in the process of creating a new Laravel Project using Vagrant, Scotchbox & the Laravel installer. Undertand basic git commands or know hot to copy/paste. 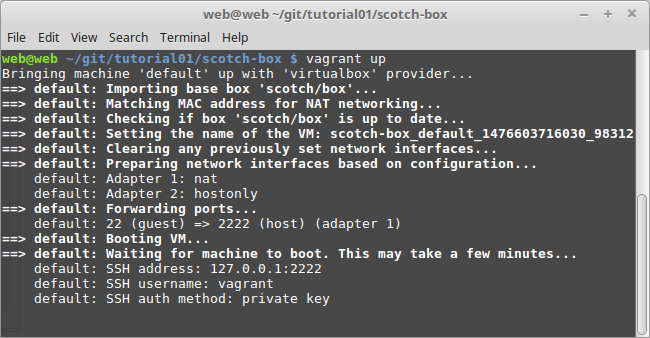 Lets start with a new Laravel Project, In this case I will create a new project inside a VirtualBox enviroment using Vagrant and my favorite Box called Scotchbox. 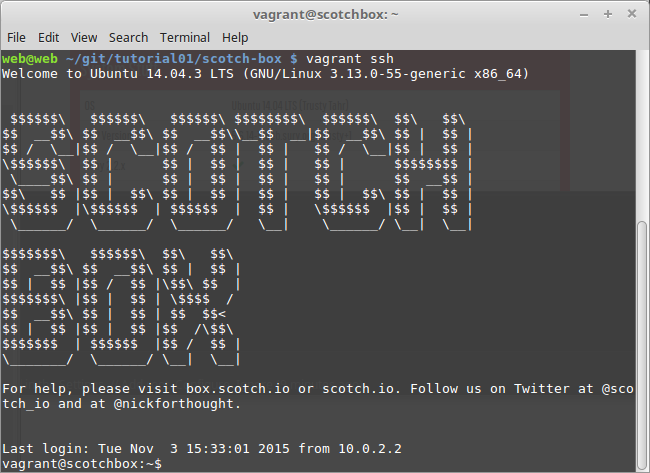 Navitage inside the newly created folder "scotchbox"
You can now visit http://192.168.33.10/ and you should see your virtual box running. Laravel is up and running! 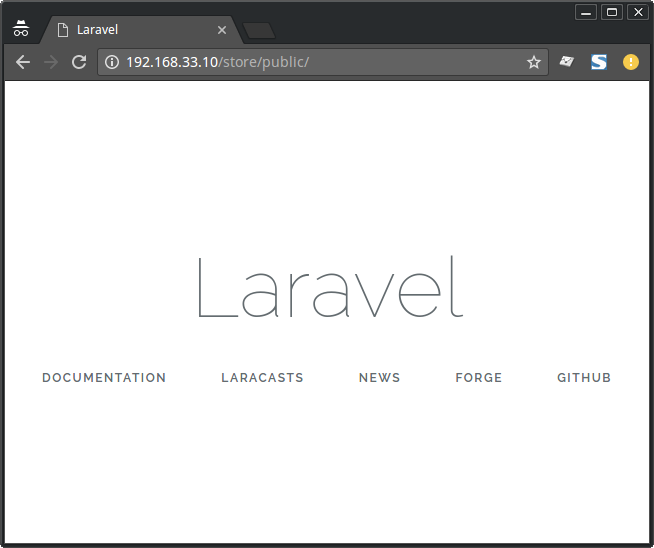 Navigate to http://192.168.33.10/store/public/ and you should see the default Laravel Page. That was easy? What's next? 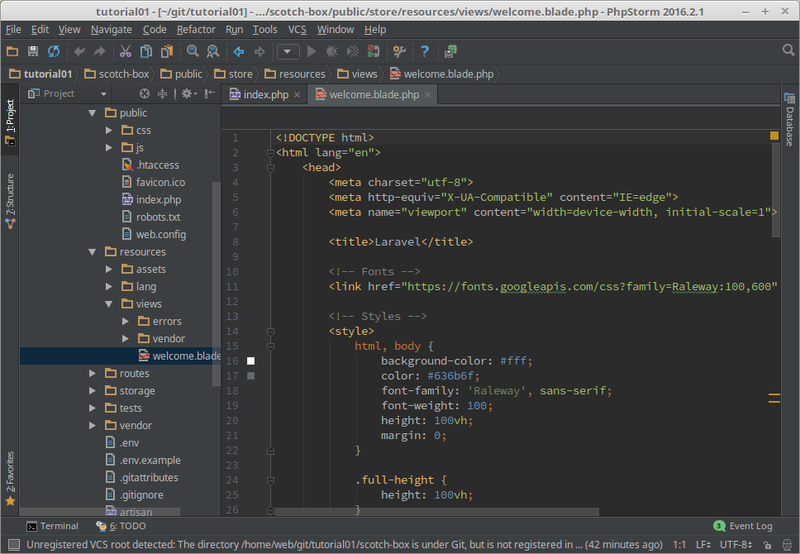 How about creating your first Laravel page with a repository in Github using an awesome IDE like PHPStorm? Click here to open this tutorial.